This is special SLT Seasonal offer 2015. 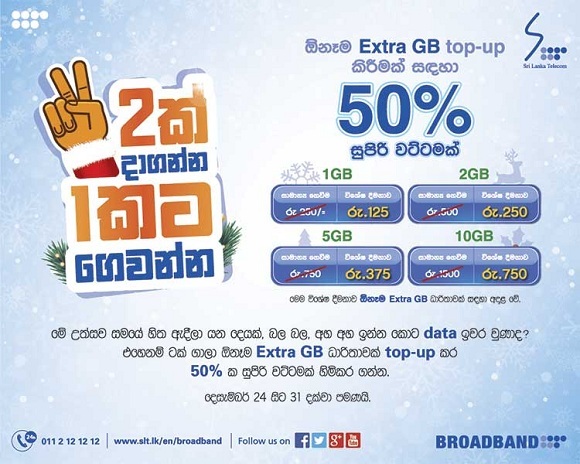 Now you can get Extra GB Data from SLT very cheap price 50% Off. You can purchase additional volume to be used beyond your package threshold without speed reduction. Once purchased it is not possible to cancel. Purchased volume will be valid for 30 days from purchasing. Offer valid until 31st December 2015.